Coffee Masters is a multi-disciplinary global barista tournament designed by Allegra Events and coffee creative duo Rob Dunne & Victor Frankowski. The competition sees some of the world’s best baristas compete head-to-head, in an extreme test of a barista’s skill as they contend for the prestigious Coffee Master. We've carefully gathered nine unique coffees, with the aim of pushing competitors to their absolute limits. Sourcing these coffees involved travelling to coffee producing regions in Kenya, Ethiopia, Rwanda, Costa Rica, Colombia, El Salvador and Panama to name a few. Much like the Coffee Masters competitors, these coffees have gone through a rigorous selection process before they made the cut. We introduce to you ‘The Niners’. Bumbogo Washing Station is an extremely exciting, brand new coffee washing station, built by Neza Trading Company, a partner company of our exporting partners in Rwanda. Bumbogo is located in an area well known for high-quality coffee production and is home to some of the previous winning washing station in the Cup of Excellence competition. This coffee is the first ever natural process that Bumbogo has produced, and is a real testament to the quality of the coffee being grown in the surrounding hills, as it’s one of the cleanest and most vibrant natural coffee’s we’ve ever had through our doors. Natural processed coffee is still very new to Rwanda, and it was only last season (2016) that we got to understand it’s potential. We will be working closely with our exporting partners this season, exploring new processing techniques, and flavours, and look forward to sharing the results with you! We first discovered Werka washing station on a cupping table, during our yearly visit to Ethiopia, in January earlier this year. We knew instantly that we'd found something special, and once we'd seen it with our own eyes, we knew that it is indeed a special place in the world! Werka washing station is located in Gedeb, a small district in the region near Yirgacheffe town. Yirgacheffe is also a small sub-region, in the Gedio Zone, which is particularly noted for high quality washed and natural processed coffees. Washing stations are centrally placed in local communities and receive cherry picked by local smallholders throughout November and December. As soon as the coffee cherry is delivered, it is immediately pulped and laid out to dry on raised drying tables. Drying typically takes 12 to 20 days, which allows time for the beans moisture content, to drop down to an optimum 12%. Throughout this drying period, teams of skilled workers hand sort for defects and continually turn the coffee ensuring that an even drying takes place. El Meridiano is an incredibly beautiful farm, full of natural water sources, waterfalls, and a beautiful landscape view of valleys of Pichincha; It is also the home to this very unique co¬ffee, owned and operated by Mario Hervas. He is one of the pioneers of the specialty coff¬ee industry in the municipality of Nanegal, Ecuador, and is farmer who we are extremely proud to have been working with for the past two years. Mario was an agronomist for 17 years, working with large-scale rose farms throughout Ecuador; he's now applying this knowledge to his coffee farm, and it's safe to say it's an absolute showpiece of innovation. Mario had a hard time identifying the perfect co¬ffee varietal for his farm, and fortunately for us, he took a risk and planted the whole nine hectares with Typica, which has an incredibly juicy and floral profile. This varietal is also one the most culturally and genetically significant in the world; it originates from Ethiopia/Yemen and has been planted the world over. It is a highly problematic varietal to produce, as it is susceptible to all three of the serious coffee ailments - Coffee leaf rust, coffee berry disease, and nematodes. Fortunately, Mario's agronomy background means he is the perfect person to maintain such a varietal, and as you'll be able to tell, it's all been worth it. Bumbogo Washing Station is an extremely exciting, brand new coffee washing station, built by Neza Trading Company, a partner company of our exporting partners in Rwanda. Bumbogo is located in an area well known for high-quality coffee production, and is home to some of the previous winning washing station in the Cup of Excellence competition. Bumbogo employs 105 casual employees during the coffee harvest season and three permanent staff members who are in charge of maintaining the station during the off-season. All of the staff employed at Bumbogo washing station, are responsible for hand sorting cherry, processing the coffee, and turning the parchment when drying. The coffee cherries are hand-sorted before being floated in a tank of water, during which under-ripe or damaged cherries are removed, along with any foreign objects. Next, the pulped coffee is fermented in dedicated concrete fermentation tanks for an average of 12 hours, and during this time, the fermenting parchment is agitated several times by way of ceremonial foot stomping! It is then washed in grading channels, and laid out to dry for 30 days on raised African beds. 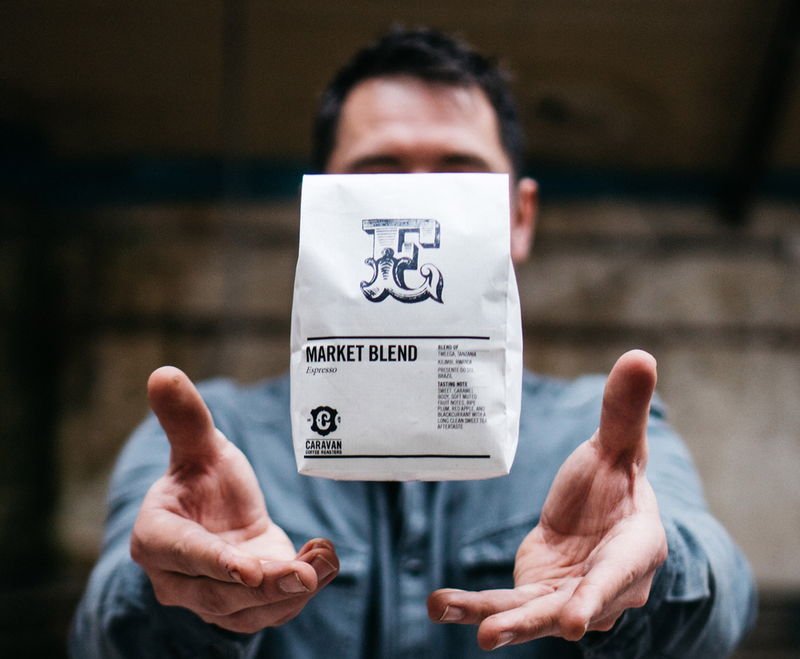 This unique coffee comes from a collective of farmers in the small town of Ciwidey, in the western reaches of the island of Java, in Indonesia. Java is exceptionally famous worldwide for coffee production but is only now getting recognition for its speciality coffee production. Our exporting partners Klasik Beans, take extreme pride in the quality of their coffee, produced this coffee in October 2017, and this is an EU/UK exclusive coffee! Klasik beans share a very similar philosophy to us, from a quality, human and environmental point of view. The cooperative's aim is to preserve Indonesian cultural heritage through the creation of sustainable, specialty, organic and fair-trade coffees. The 1000+ members transport their coffees to one of their five wet mills (Pacet, Puntang, Garut, Ciwidey and Cimenyan). These facilities allow Klasik beans to take full control of the entire production, ensuring that they receive only ripe cherry, and it will enable them to use specific processing methods to create unique flavours. This coffee is prepared as a fully washed coffee, which is a preparation technique somewhat specific to Indonesia, which uses a dual fermentation; dry fermentation overnight, followed by a 4-hour wet fermentation. This coffee comes from the Baroida Estate, located in the Eastern Highlands of Papua New Guinea, which was founded by Ben Colbran in the 1960’s. Ben first purchased the land from a native man named Taro, and was amongst the first people to cultivate coffee in these highland valleys of PNG. Carlos Lopez’s farm, La Flordia, which translates as “the forest”, is located in the famous Colombian specialty coffee growing region of Pitalito, in Huila, Colombia. Situated at 1800 masl, Carlos has six hectares of land, which has been planted with Yellow Colombia (this coffee), Caturra and a small amount of Geisha and Maragogype. Yellow coffee cherries are a natural mutation of red coffee cherries, but there are a few key factors that ensure that they taste different to their red counterparts. Yellow coffee cherries draw in less heat from sunlight than a red cherry does; meaning the maturation is slower, allowing for more sugars to be developed, which in turn, can create a complex coffee profile. Washing, fermentation and drying follow the traditional Colombian process of an overnight dry fermentation; followed by a thorough rinse with fresh, clean water. Drying times can be slow at such high altitudes; anywhere between 15 – 25 days, so extra care, skill and attention are required to produce clean and consistent coffee, something that Carlos has in abundance . The tale of El Fénix began back in December 2016 with the help of almost 400 Kickstarter backers worldwide. The goal was and remains the creation of a community wet mill located in Quindo, Colombia. Once complete, this project will provide the region's farmers with the possibility to have far greater control over their coffee quality, and income security through a fixed price payment system. We think that this kind of investment in accessible infrastructure is one of the steps required to make good on the promise of development through trade. El Fénix farm is nestled at 1,680 - 1,800 metres above sea level near the town of Calarcá, in the department of Quindío, in Colombia. It faces west toward the Cauca Valley and the central mountain range. The farm has ideal climate conditions for coffee production, with a high sun reflection off of the valley, and an average rainfall 2.275 mm a year. The main harvest comes in from April to July, with a fly crop from November through December. Natural spring falls provide water for all the farm's needs. The soil is mainly volcanic, and in some areas, Red California worms are wriggling through and aerating the soil. All weeding is done by hand, and no herbicides have ever been used on the farm, enabling microbial and fungi activity to let loose! Isaac Luna lives in the quaint township of Los Planos, in the northern reaches of El Salvador. The closest city is, Citalá, a border town that shares its river with Honduras. This season, Isaac produced one of the most complex honey processed coffee we've ever tasted, so, as we sat down for lunch at Finca El Poso, we asked him to explain his processing technique. First, the coffee cherries are hand picked at the optimal state of ripeness, which he decides by the colouration of the cherry, and by tasting the cherry juices. Secondly, after an appropriate amount of cherry is collected, it's taken directly to the pulping station, and pulped immediately; this ensures the maximum retention of mucilage for the drying stage. The drying takes place in a room similar to a poly-tunnel, full of elevated mesh beds, where the coffee is laid to dry. Isaac doesn't move the coffee on the first day of drying, although from the second day, and until it's finished 20 days later, he will move the coffee every 30 minutes during peak sunlight hours, and every hour during the morning and early evening. Creating the Niners series has been a challenging and rewarding project for the whole team at Caravan Coffee Roasters. We have thoroughly enjoyed the task of sourcing and roast profiling nine unique and interesting coffees to challenge the competitors and hopefully produce a great competition. We hope you enjoy our Niners series as much as we do and thank you for taking the journey with us!